New England Auction Event | Americana Gallery Talk | Skinner Inc. Please join us for what will be a fascinating and enlightening evening. Skinner Welcomes Derek Heidemann, owner of Resurrection Iron Works in Millbury, Massachusetts. Derek has reproduced one of the highlights of The Howard Roth Collection, an elaborately decorated rotary toaster, and will be taking us through the process of its making. The reproduced rotary toaster will be raffled off at the end of the event. 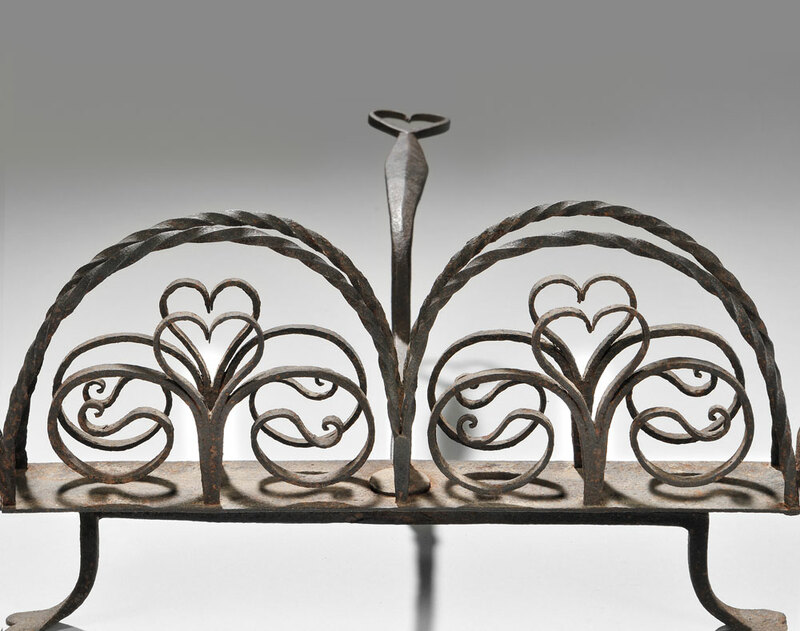 This entry was posted in Event and tagged american antiques, American antiques auctions, American furniture, artist demo, bronze, Howard Roth, Howard Roth Collection, iron, metalwork, new england event, New England iron, Stephen Fletcher, wrought iron by Skinner. Bookmark the permalink.